Otto Mühl shaped Viennese Actionism with his material actions in the 1960s, yet painting was always his most important means of artistic expression, even if he called for the destruction of panel painting in his manifestos. In 1973 he performed his last public action before returning to painting in 1974. Beginning in 1967 Mühl worked on the ZOCK complex, an action-political program. The creative focus of ZOCK is a series of portraits (1967/68) of politicians and celebrities of the time in a bizarre and caricatural attack on society. In his style of painting and choice of themes, he deliberately referred to heroes of art history, such as Vincent van Gogh and Picasso, to show their almost mystical idolization as outsiders of society. His perspicacious interpretation, reflection and citation of outstanding artistic figures and their styles resulted in paraphrases that reveal an extremely human, instinct-driven existence and give the manner of painting new meaning and energy. Otto Mühl’s creative output ranges from conceptually structured material pictures and extremely gestural expressive art to two-dimensional graphic works. 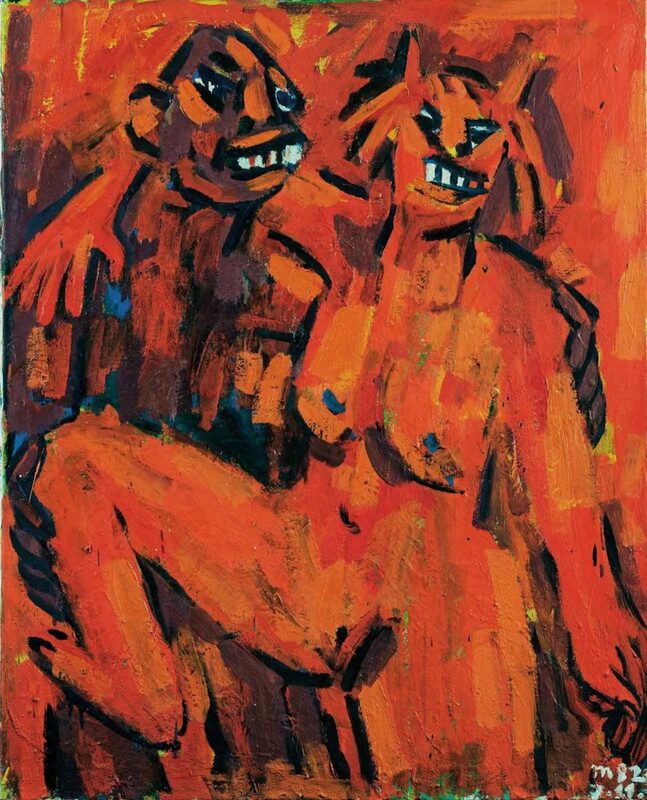 In an almost obsessive way, the artist addressed sexual motifs and violations of taboos in his paintings. It is, however, always the color that dominates the picture.